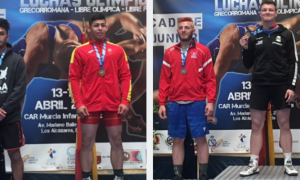 The 2017 Greco-Roman World Cup was forced to contend with the beginning of the NCAA Division I Wrestling Championships which meant that naturally, it wasn’t a banner event for the wrestling community in the United States. The World Cup, hosted once again by Iran, this time in Abadan City, delivered on both presentation and competitiveness. That arena was LOUD and enthusiastic, most noticeably for the Russia/Iran dual on Thursday. Most fans of international wrestling know how terrific the Iranian crowds are — US folks who watched the freestyle World Cup can attest to that fact. But with Greco, it is slightly different. There is a certain tension that has a habit of building and building in tight matches. Of course, there is also an enormous wave of enthusiasm that erupts over big throws. Iranian fans like to cheer anything noteworthy, even if it happens to one of their own. 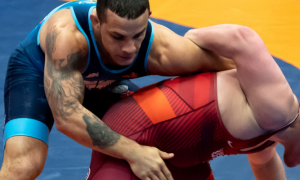 What made this year’s Greco-Roman World Cup compelling was Russia’s devotion to the cause. The roster was stacked to the point of near-lunacy. And even with that, most of the contests were incredibly close, as they often are at this level. Even still, it was going to be a tough road to hoe for the likes of Iran and Azerbaijan, though both put forth outstanding efforts when they went toe-to-toe with the big dog in the yard. It was fun stuff. 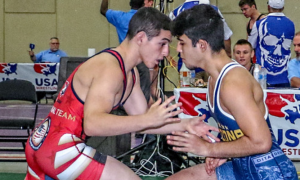 If you missed out on any of the action, check Trackwrestling’s archives and give it all a look. No matter what style of wrestling you prefer, you’ll be able to get into this. We shuffled out the roster for the last event on the US March European Tour, this upcoming weekend’s Hungarian Grand Prix. It’s a smaller group of Americans this time around compared to the previous two overseas tournaments. 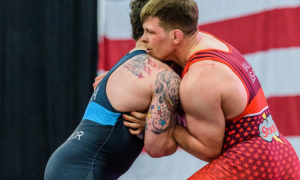 Joe Rau (98 kg, Minnesota Storm) dubbed the contingent as the “Marine-osta Storm” considering that the group is comprised mainly of wrestlers from the US Marine Corps and the Storm — aptly put. Geordan Speiller (75 kg, Florida Jets, world no. 19) is on the list, as well, his third tournament back since returning for the Schultz early last month. Both Speiller and Rau have medaled in Hungary before — Rau in 2015 and Speiller last year. The Hungarian Grand Prix is a good one. There is typically a large number of top European competitors, which makes it quite the test for someone like Rau, who hasn’t had a match since last May. Rau managed to establish himself as a surging competitor nationally in 2014 when he won both the University and Senior World Team Trials. 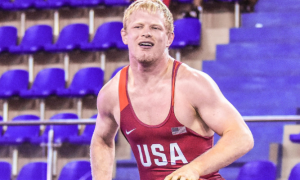 In 2016, he overtook Caylor Williams (Army/WCAP) to clinch the Olympic Trials and cement his place atop the depth chart. But during his time off recuperating from knee surgery, two young(er) bucks have stolen the 98 kilogram headlines stateside — 19-year old Junior World bronze medalist G’Angelo Hancock (NYAC, world no. 18) and Storm teammate Hayden Zillmer (world no. 19). A weight class that was once thought to be severely lacking in depth is now a strength for the United States. Rau’s performance in Hungary might be more about getting back in match-shape than it is anything else, but at the same time, you can bet that whatever happens on Sunday will be examined closely by all, rightfully or wrongly. The tournament is two days with 66, 75, 85, and 130 kilos going on Saturday and 59, 71, 80, and 98 kilos on Sunday. We will be providing live coverage of the event should it be available. 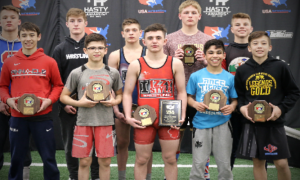 Although there are a couple of folkstyle national-type tournaments that still need to play out, the conclusion of the NCAA D1 tournament means Greco-Roman season for the age-groups is about to begin. Before the “spring sessions” get into full-swing, there are several camps/clinics you may be interested in, so we will be providing information on them when we can. US National Team head coach Matt Lindland and the aforementioned Hancock will be holding a camp in conjunction with Cadet World Team coach Lucas Steldt in Wisconsin soon enough and also, former US World Team member and current Colorado USA Wrestling chairman Joe Betterman is also offering pre-Greco-season training in that state. Look for more on both coming up shortly. 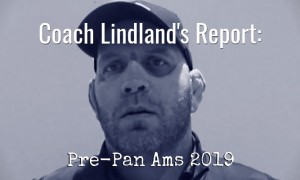 An all-new Coach Lindland’s Report covering his time out at the NCAA Championships along with his thoughts on the age-group season beginning. A new “Catching Up With” segment with an explosive, talented athlete you might be familiar with. We’re coming up on our official first year since launch and figuring out how to best acknowledge it, so stay tuned!